Controversial Post: I Want My Blog to Make Money. There. I Said It. As a blogger, I often get asked the questions, "Why do you blog?" and "Why did you start a blog in the first place?" 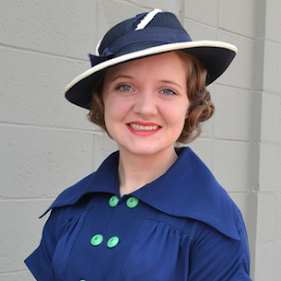 "I blog to meet people and interact with the community." "I write for myself and to express who I am." "I enjoy the process, the journey, the discovery of blogging itself." "I don't care how many views I get; I'm just blogging for myself." "I haven't been posting much recently, but I only blog for fun, so it's okay." "I write posts I want to write. Stats don't make much difference to my content." If you have said any of these things before, it's totally okay. They aren't wrong things to say about blogging. All I'm saying is... Those don't describe me. Do you know why I continued to blog? I actually enjoy "the journey" and the community quite a lot (more than I realized I would at the beginning). But I am intentional about my blog now because I'm building a platform. I want it to thrive and grow. I plan, spend money, research, and work toward a goal of generating income that will help me blog more and afford the vintage lifestyle, to help me legitimize all the hours I put into it. I enjoy seeing my views go up and figuring out ways to adapt when they go down. I notice which posts get the most shares and comment-conversations and that affects what I write. I enjoy taking a stand on things and sharing the knowledge I have, and I enjoy the idea that every day I work on my blog I'm developing my platform a little more. While I am by no means raking in the dough, having a blog has earned me some freelance writing opportunities, and I like seeing the fruits of a lot of labor! We don't fault bakers that start bakeries for wanting to earn money. We understand that they probably love baking bread, but they can't live or justify all the time they spend doing it without being paid, even if they do just love "the craft itself." We don't write off entrepreneurs for going in with a business plan and long-term goals of making revenue, but a blogger that starts out treating her blog as a business is often seen as materialistic. After reading this, what is your first response? Does it come off as greedy or realistic to you? Do you identify? Why or why not? If you are a part of the blogging community, does it seem to you that people are less likely to state their desire to make money off a blog? Why do you think that is? If you are not a blogger, what are your thoughts on bloggers that make money off their blogs? How does that affect you as a reader, if it does at all? I have a blog that I am very bad about keeping up, and in no way ever associated it with a money-making endeavor. That being said, your honesty and candor about things is extremely refreshing to read, as is your willingness to work towards your goals. Your honesty here does not make me want to stop reading your blog. Do I always look at any ads? No. I read the majority of your posts and enjoy your brain at work. I don't have any problem with people trying to make money from their blog. I don't but that's mostly because I am not willing to put for the effort to get started. Ha, love your honesty! I rather enjoy your blog, so obviously what you're doing is working for you. It is a lot of work, and because of that I'd only recommend the idea of monetizing for people that, like you said, are willing to put forth a lot of effort. I feel you on this. I pretty much have a blog because I wanted to make money doing things I like- taking about vegan cooking and fashion. But if the blog was PURELY about money, I would of given up. A lot of people point out blogging doesn't bring home much bacon but I often think of it as a "bonus" source of income. If your blog can get $30 for ads in a month, why the hell not if you are enjoying yourself? I grew up with a Mom who did embroidery and sewing and would occasionally teach on the side, so maybe I always have something in the back of my head of hobbies can bring in money, even if it is minimal. Yep, this is pretty much my outlook! I am NOT paying the bills or remotely near it, but it is a good bonus income, like you said. Why not help fund my hobby with my hobby? You're so right. I feel it is a very difficult way to make money and I give credit to you for wanting to achieve this. It takes a serious level of commitment. I think you also have to seek out outlets to get a steady income. Also, there has to be a way to appeal to the "masses" unless you are using it as a tool to sell from your shop. I'll be totally honest here, I suppose it does come across greedy to START a blog because you want to get money out of it. The analogy with people who like to bake who start bakeries is a poor one in my opinion, because most of the time people do not learn to bake in order to make money. They just love to bake, maybe they do a bake sale because why not and then people freak out and are like "OH MY GOSH! You should start a bakery!" And through encouragement they do just that. In my wanderings around the blogosphere, it seems that blogs that make money are by pure luck and time. Some people just luck out with getting interest from companies. Years ago I thought my blog was really hitting big because I finally got an offer to review a product from a vintage inspired clothing line, but just because I got one didn't actually mean anything, and I attempted to get even my friends with Etsy shops to sponsor me, and many said they didn't see a point in it, openly saying they don't get much traffic via blogs. Additionally I thought my blog looked cheap with banners for other people's Etsy shops, What Katie Did and Secrets in Lace. Sure, I got money from WKD for some time, but over time the money I was getting dwindled to a few dollars, despite my continued rise in views, and it just felt tacky. While I have no problem with blogs that have sponsors and affiliates and want to make money, I honestly ignore those ads and look for good content. If your blog is difficult to read, I won't read it, if it feels like a huge advertisement dressed up like a magazine, I won't read it. It's easy to notice when people are writing just to get something. Additionally I feel that the wave of a dollar bill in your face by a company can lead to rather lackluster and fake content, and I have seen that happen. And it's boring. Unless you have a very strong character and are able to say no to $100 for a post because you don't feel the subject is in line with what your blog is about, your blog will come across as something less than sincere. It's a difficult ground to tread for sure, and I wish you all the luck in the world! It's all good, Janey​, thanks for your input! I actually agree with you on a lot of points. I HATE reading the posts that bloggers obviously just took on for money that don't really have good content, but I think most bloggers find out real fast that a purely money motivation won't keep you going through the blogging ups and downs! I don't see anything wrong with the idea of starting a blog as a business, though, since I obviously wrote that post. A lot of people do learn skills to make money off of them, even though they may also enjoy them. (How many mechanically-minded teens have thought, "Hey, I like building stuff. I think I'll learn to be an engineer. I can support myself with that and like it at the same time!") Lots of trade jobs are like that. Not that I see money as the only motivation, but I think we can all agree that it's a huge perk to do something we enjoy while getting paid for it. It's not necessary for a blog to be successful though, not at all. I think it just depends on the blogger as to whether it's worth it to monetize. I don't think you sound greedy at all, I think it's a great goal for you to have. If you can make money doing something you enjoy, then more power to you. I started blogging after an injury that has kept me home and very antisocial for over a year now. Before the injury, I was a very busy and social person. Blogging, for me was a way to explore my interests, share those interests with others, connect with others and still feel like I was a productive person. 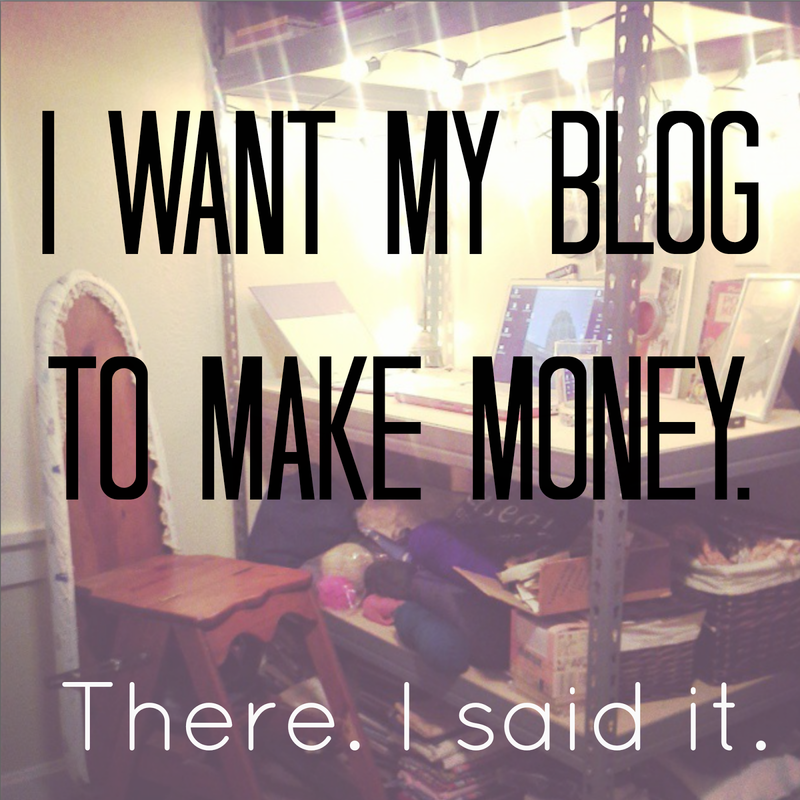 I've thought about trying to make money with my blog many times and would love if it were to magically happen sometime. But I have come to discover that if I try to treat it as a job, it feels like a job and becomes stale and uninspired. I have no problem with blogs that make money as long as I am still feeling connected to the person. I enjoy blogs where I get to know somebody, not just what they are selling. I don't have a blog. I read blogs because I enjoy the content: the writing, pictures, tutorials, etc. This is something I am happy to access for free. I can only imagine how much time and effort bloggers put into their content. If the blogger wants or needs some form of compensation for their time, I don't think there is anything wrong with that. If the advertising is visually oppressive or overwhelms the content however, the reason I would read the blog in the first place, I would probably unsubscribe or stop reading. I do not find occasional sponsored posts and sidebar advertisements at all bothersome. I think this is a great post. It doesn't sound greedy, I love your honesty! I don't see anything wrong with asking the question "how can I make money doing something I love?" I have wondered the same thing myself. 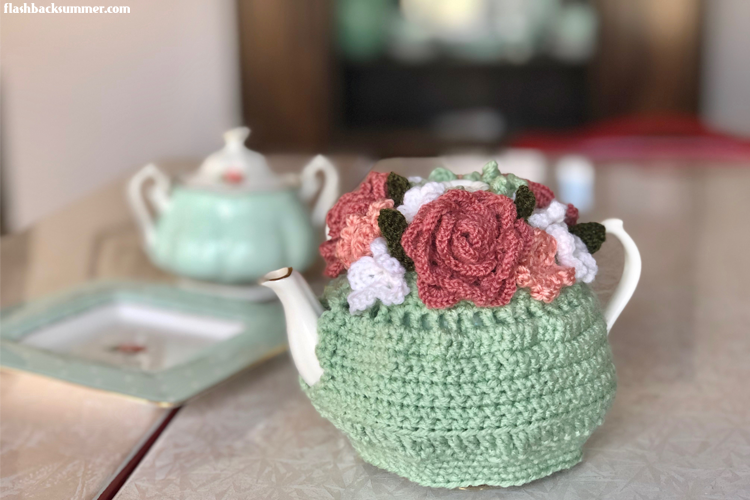 I blog because it's a good way to keep track of my projects but I also love the connections I have made with people through blogging. If I could quit my day job and just sew and blog for a living I would but know that's not really possible for me. If you can make a little money to support "the vintage habit" I say go for it! I look for ways to do the same thing but understand it's a difficult thing to do. My ultimate goal would be to turn my blog into a small business and offer ready-made reproduction garments, vintage patterns, etc. Will it happen? Someday but right now I don't have the time to dedicate to it that I would like. I really appreciate how honest you are, and I think you made a lot of excellent points. There aren't many bloggers out there who don't, at least on some level, what some kind of remuneration for their efforts, and I count myself among them. I think a lot of bloggers are very creative people, and it is hard to get paid for creative work. From the time I could read, I wanted to be a writer, planned to be a writer, even got a degree in English and creative writing. Then, when I graduated, there was just nothing in my field, at least not in my region of the country. I've been working customer service related jobs since then, and while I've gotten pretty good at it, it's hardly a passion. Blogging was a way for me to get back into writing, and while I don't bank on ever making my living from blogging, of course I would like to. That said, I have started getting a trickle of emails with offers to review free products and things like that. I say no to the stuff that doesn't appeal to me, but I do worry that getting something for free might skew my perception of the product. Having some skin in the game, so to speak, makes you really think about the quality of the product and the process of getting it. While it certainly wouldn't be deliberate, I've seen some very enthusiastic reviews of products that don't look especially nice, and it's hard not to wonder if all the pep isn't just to keep those "C/O [insert company name here]" items coming. Basically, I'm aware of my own corruptability, and it concerns me a little bit. That's a little off topic, I guess, but it might be part of why people don't like to admit that they want to make money off their blogs. Successful bloggers always seem genuine and authentic, and seeming like you're too focused on making money off of it can call that into question. I think you raise a good point. I recently was given an item to review, and when I got it, I really wasn't pleased with it. I knew I wouldn't pay for this, so I couldn't recommend it, even though I could work with them being free. It's important to have that integrity in being real with people, especially on product reviews. I might have gotten it for free, but they're spending their hard earned cash! I'd be upset if someone led me astray, so I'm not going to do that to others. After reading this, what is your first response? That's fine. Does it come off as greedy or realistic to you? Not greedy. Pragmatic. Since I have little idea how one makes money from a blog I can't judge whether it's realistic. Do you identify? No. Why or why not? I don't blog, I read blogs. If you are not a blogger, what are your thoughts on bloggers that make money off their blogs? I don't mind, although I don't really understand how you do. How does that affect you as a reader, if it does at all? I don't know that it does affect me. My only real concern is whether the blog is interesting to read. If it isn't, I stop following it. So if you can continue to make the posts interesting while also being somehow remunerative, that's fine by me! As long ad I'm not forced to spend money, I suppose. Not only do I think it is realistic, I actually like it. I think it is a positive. Firstly, personally, as a small-business owner, I like seeing other people trying to make money through doing what they love. I think it is inspirational, especially when they are doing it with honesty, integrity and passion. That is what I am trying to do. I feel a connection with others doing the same, and I want to support them. But I suppose most readers wouldn't be in that boat. The best blogs, in my opinion, are ones that are run professionally, and trying to make money can be one motivation to do that. That professionalism keeps your blog looking nice, keeps you posting regularly, stops you from posting anything offensive, gets you to edit carefully, and makes you aspire to have the best content possible. Obviously the nature of that money-making can be problematic, but you've addressed your feelings on this in your earlier post, so that won't be a problem for you. You haven't just aimed to make money, you've considered how to do so while keeping the integrity of your blog and genuine content. I rarely look at ads on blogs, but when I do it is because I am trying to find new blogs or small businesses that will match my interests. I'm happy for them to be there to look at if I want to, and they don't bother me if I'm not currently looking for anything. Sponsored posts, if they aren't too frequent, are fine, and even if they are frequent, I'm ok with it if there is still something unique and interesting about them. Don't just wear the clothes and show them off, talk about different ways to style them, or take the photos at a cool location and talk about that. My main concern with monetised blogs is when they stop the blog from feeling personal. I feel less inclined to comment when they feel like a series of ads. And then I feel less connected to the blogger and I am less likely to support their blog, comment, share etc. Making sure you reply to comments (as you do) is a big thing for me as a reader to make me feel this person is really here and genuine. I started my blog as a social media channel for my business. It has become different as I feel welcomed into a community, but it is still a part of my business, and that affects everything I do with it. And I don't think there is anything wrong with that. I have failed to meet my schedule sometimes, but fewer times than I would have if it was a personal blog! You make a good point here, I think! A big motivator for me to stay on my schedule and keep things nice is the fact that I sometimes have sponsors. They have paid to advertise on my site, and it's my responsibility to hold up my end of the bargain by making a blog people want to return to. It also makes me able to invest in my blog more. I'm looking into redoing some parts of my blog, and I'm able to spend money to make it look really nice in the hopes that a nicer, more cohesive look will help me recoup the costs of the redesign. If I didn't monetize, all of that money would come out of my pocket with no chance to earn it back. I use most of the money I make on my blog to expand my blog further and make it better. I completely agree with you Emileigh. I don't think wanting to make money from your blog is greedy. I actually think your initial idea to drive traffic to your shop through your blog was a good marketing idea. When we girls first started blogging, we did just do it for fun, but as it started taking up more time and effort, it did really become clear to us that we would like to earn some money on account of all that effort. I think bloggers should be allowed to want to earn money from their blog. It's not a rule that blogging is an all-volunteer job. Just like you said with your baker example, we love blogging, but we can't justify all the time we spend on it without getting paid. For many bloggers, blogging is something we put a lot of time and effort into. While we might not start our blog soly to make money at first it is nice to get rewarded for all the hard work we put into it, even if it's just pocket change. Emileigh, you have a lot of good content and an inspiring blog, it's obvious that you put a lot of work in to it. With that said, there is nothing wrong with hoping to be compensated for your hard. I started blogging a long time ago thinking just friends and family would read it. But I'm not afraid to say that now I want to make money from my blog and I do. I'd love to make a good income from it. I love what I'm sharing but we are offering something to people and there is no reason to feel bad for wanting to make something in return. 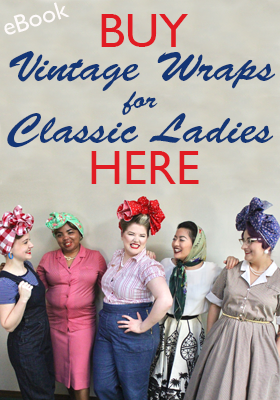 Hi, saw your blog via Chronically Vintage. Your interview was so cute and so are you, loved it. I don't think it's greedy in the slightest. I'm doing a similar thing with my blog. I want people to read what I have to say with the ultimate goal of people purchasing my books because of it. Everyone has a goal when they begin blogging and even if you started out to make money from this, it looks like you've got a lot of people who read what you have to say and enjoy it. I say keep it up and wish you all the luck in earning an income from blogging. Ha! When I first started blogging I assumed that eventually if a blog was good enough it would make money. I sort of saw it as a sign of success... if your blog had good enough content and enough readers then someday it would be recognized by individuals or companies who thought you could do something for them! On the other hand, blogs that seem to be focused solely around getting freebies, especially if their freebie-getting sort of clashes with the things they would otherwise be posting about, do tend to seem a bit abrasive to me. Thankfully, your blog isn't like that at all! I enjoyed reading your post. I do have a blog and am in my fourth year of blogging. I haven't advertised or accepted any of the offers for free product in exchange for review although I am considering one now. You don't come across as greedy to me. I know a lot of bloggers who make good money at it and I hope you do as well. I'm just too lazy and don't want to post any more often than I feel like it. I will say that I have seen a lot of bloggers content change and not always for the better when they begin monetizing. I really don't know why that is, but I've seen it enough to know that it happens. Your blog is delightful. Hi Emileigh, I'm going to take another stab at sharing some of my thoughts on this topic here with you and your lovely readers (as my first comment mysteriously vanished the other day, as we were chatting about by email - the interwebz, eh!). I personally have no qualms with a blogger wanting to, and succeeding in, make/making money. I am fortunate to be able to do so with my own site and am eternally grateful for this fact, as it is one of the only ways given my medical situation that I can bring in a pay cheque (ditto for my Etsy shop). There are a lot of factors at work in trying to generate income from your blog and certainly one of the most important to keep in mind is that, not many blogs ever become household names earning big bucks. Those that do are the minority, by a long shot, not the majority and for every blogger landing mega sponsorship deals (and the like), there are thousands (if not millions) trying to do the same thing and getting little to no where (for an absolute plethora of reasons). One massive factor at work here in the niche that we're in. If we're going to call a spade a spade, the vintage blogging world (especially if we take vlogging out of the equation) is a rather small niche in the scope of the whole web. There are only so many people interested in this topic and only so many sponsors and applicable affiliate programs out their that might jive well with your blog. It's important to be realistic on this front. It's always possible that lady luck could shine her light on a given vintage blog and it might become a mainstream or multi-niche hit (we tend to see the latter more often with vintage + knitting and/or sewing blogs), but I wouldn't bank on it (literally in this case!). When accessing the income that you're generating from your blog, it helps to include gratis review products that you're given in with the actual dollars that come from ads, affiliates, sponsored/product placement posts, inline text links, etc. You might also include things like mutual ad swaps, guest posts, interviews and the like as a type of payment (for your time devoted to blogging), too. They're all forms of advertising that you didn't actual pay out of pocket for, but which help to ultimately (potentially at least) drive visitors to your site, which can in turn equate to dollars earned from your site itself. A successful blog, let alone an income generating one, does not happen over night by any stretch of the imagination for 99.9999% of bloggers out there. As you know it takes time, determination, a willingness to adapt and grow, at least fairly frequent posts, variety, (usually) great photos, solid content, a steadily growing readership, the ability to handle curve balls, a social media presence, and a desire to continually try new things and see what sticks. I didn't launch my blog back in early 2009 with the sole goal of making money, but I quickly realized that it had the potential to and worked my tail off - and continue to wear it to a wee nub in that pursuit - to get it to a point where it was/is. I'm super selective with the sponsors that I work with and have turned down some really decent potential pay cheques from companies who approached me to work with them because they had absolutely (or very little) do with my blog, its audience, and/or my who I am as a person. I always want my blog to feel natural and remain true to itself and I refuse to sell out to any company just because they wave big numbers in my face. Integrity is an incredibly important part of blogging in general, but all the more so, IMO, when money is involved. Balancing sponsored posts with non-sponsored ones, not making those that are sponsored seem like glaring commercials, and being impartial with your reviews (where applicable) all go a very long way on this front and will help ensure that your audience sticks around, instead of changing the digital channel, so to speak, to get away from the commercialism of your site. You're fortunate to live in the US. There are a lot more affiliates and companies (that only work with US bloggers) for you potentially avail of, that many like myself in other countries don't have to work with. As there is a definite cap (again, unless you strike it massively lucky and go big time mainstream) that you can make with vintage blogging, it helps to have other sources of income (full or part time off line job, other websites, online store, etc) to help supplement your income. I don't say this in a discouraging way at all, just a very realistic one. The more money you make from blogging, the more you'll be apt to find yourself reassessing what your time (on the blogging front) is worth and if you're allotting it in the most productive and potentially income generating manners. This can be hard to say in the moment, but you should get a feel (and ideally hard data to back it up) after a while for those types of posts, links, and ads that generate more income than others. Start shifting your focus (if you want to, of course) to these types of things, while keeping a healthy balance of different posts in place still, and you should see your income figures continue to rise. Way to go on speaking so candidly about this point. It's refreshing and no doubt poignant to many bloggers who are also in the same boat. You make a great point, Jessica! It is nearly impossible to make real money off a blog nowadays, and it's important to be realistic about that. Remembering that has helped me to remain positive in how I determine the success of my blog. While money is a great perk, it's necessary to remain integrous and interesting to your readers. Because, really, without our awesome readers we bloggers wouldn't have anything!